In the beginning, when we talked as a team about what we wanted to share at Booklights, I knew wanted to do straight, short book reviews. It was a format I had used at my other blog, MotherReader, and I liked the structure it gave me in focusing my selections and my write-ups. It also seemed like the perfect fit alongside the broader posts that my colleagues contributed. They could get people thinking, and I'd come in with a few concrete selections. Also, I had to admit that the essay format was not my comfort zone, which tends more to throwing in phrases that I believe to be hip but are more likely so last year. Like that one. Fo'shizzle. I'm telling you to read during the day, perhaps in the actual presence of your child. I know it sounds crazy. But sometimes the dishes - and yes, even your kid - can wait. I am asked often enough how I find time to read. My answer is more like a mission statement: You don't find time to read, you make time to read. And as I say goodbye to Booklights, I continue my theme with three quick, personal thanks: to Susan for getting me involved, to Jen for saying the right things, and to Gina for supporting us tirelessly. I'll miss our collaboration which gave us such a wonderful blog. Before reading a book aloud to a class, try it on your own child. As you read notice factors of the book that are relevant reading it aloud to a group. Is it appropriate in length and topic for the age group? Is it is keeping your child's interest? Are there any words or concepts that need explanation? Are there key parts where you might pause the story for impact or to ask questions? Are the illustrations big enough that they could be shown to a group? Are you comfortable reading it? Some of these questions seem obvious, and yet I've seen a teacher grab a book from a shelf to read it to the class with apparently no knowledge that it was about the death of a family pet. Oops! I've also had parents come into the library looking for a book to read to the class that same day, so I know that these are mistakes that people make. But you don't need to make them. Go in prepared and you'll feel better. If you are reading multiple books, keep in mind the order in which you'll present them. Read longer books first while the kids are at their maximum attention. If you have a funny book, save it for last. If you are reading on a theme - like seasons or apples or ocean life - start with the more informational book, and progress to a more storylike title. Also, if the book is not working well, allow some abridgment. You can also allow for a break where the kids can talk about their favorite part, share a connection, or ask a question. Remember that kindergartners and first graders tend to be unclear about what constitutes a question, but will take any chance to raise their hands to share something. You may arrive with your carefully chosen selection to find that the librarian has read that book the previous day - which the kids will be delighted to tell you. Always have an extra book that you can use instead or can toss in the mix if you have more time than you think. If you don't have enough books on the particular topic of the day, have a seasonal or a school story. I'm particular to A Fine, Fine School because it's a lightly funny book that translates to a variety of ages, but there are many other books that would work. 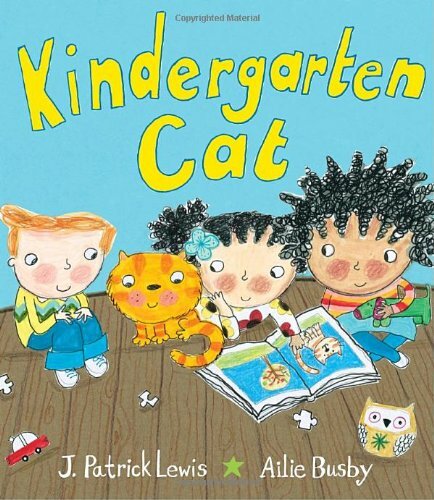 The kindergarteners come to school to find that there room has it's own cat - and what a smart kitty she is! She may not know her colors or numbers, but she listens to the teacher's lessons and responds. And boy, is she cute. 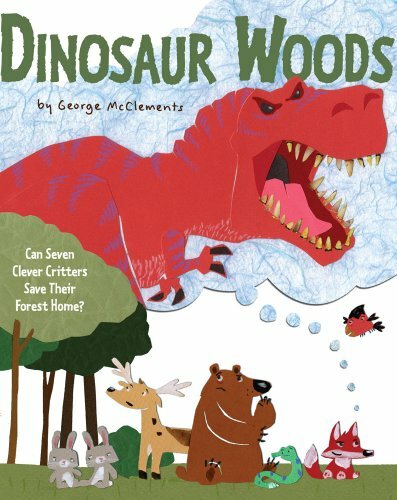 While many books approach kindergarten with a list of all the things kids do, this slight story allows the reader to see what happens in a more natural way. 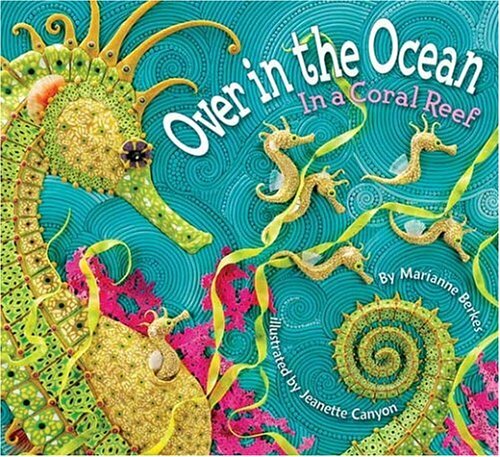 The illustrations are engaging with a childlike feel, rich colors, and a diverse class. The rhyming couplets seem a bit strained, but it's unlikely to bother the target audience who will be thrilled with the idea of a cat in a classroom as even a remote possibility. 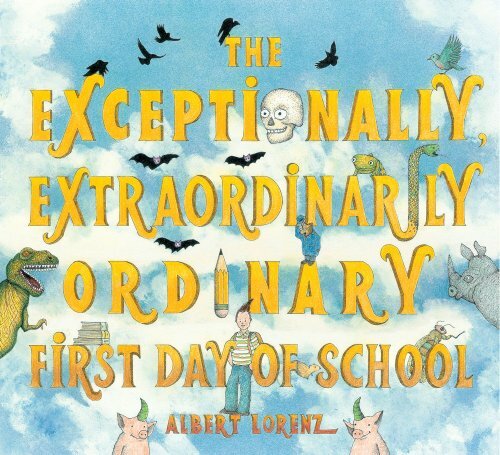 As the new student, John, describes his old school to his new librarian, everyone gets the idea that it may not have been the least bit ordinary. Particularly the readers who are treated to the pictures that accompany John's often ordinary descriptions. For instance, while he simply talks about his school being really old, we can see that it is a bizarre castle with talking ravens and hungry stone lions. There is also a sidebar with definitions and facts and related notes about items in the pictures.. 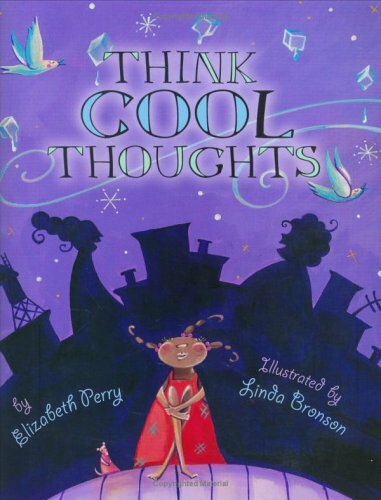 The oddities, facts, and little jokes in the illustrations make this a fun book for older kids heading to school. Links to material on Amazon.com contained within this post may be affiliate links for the Amazon Associates program, for which the site MotherReader.com may receive a referral fee. Because I want to leave the reading experience to the potential reader - whether child or adult - I don't tend to reveal spoilers in my reviews, even in picture books. But today I'm bending that rule to talk about three surprise endings that gave me pause. 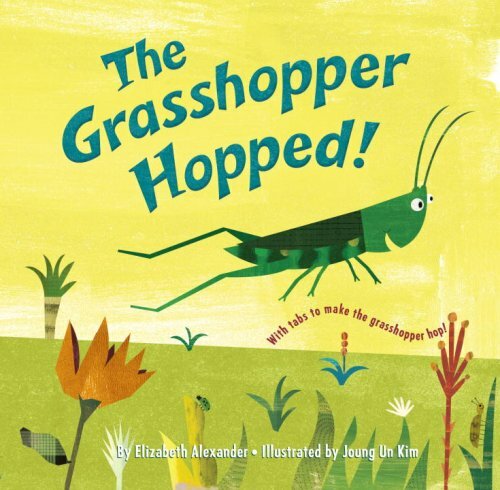 The grasshopper does indeed hop from different settings with the help of pull tabs and a cute, quick storyline. The art is sweet, the text is slight, and the tabs are workable. The grasshopper does seem make some questionable hopping choices, including into a refrigerator and the ocean, but that's part of the fun. At the end of the book though, he hops into a frog's mouth. GULP! Wow - I thought to myself on the first read - that's seems kind of dark. But the page turn reveals a safe grasshopper and a smiling frog and the assurance of "Just kidding." 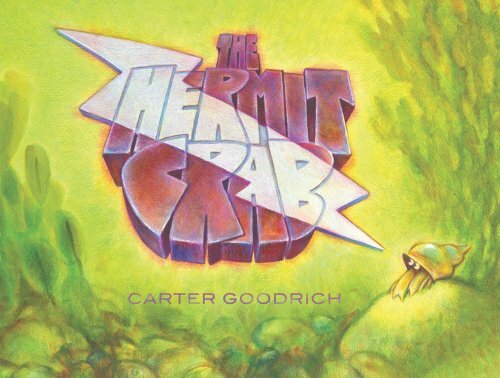 I think the surprise ending works here because the age of the intended reader who isn't likely to be thrown by the idea that yeah, the frog would eat the grasshopper. And the surprise stayed with me, though I don't think that it's a real issue. 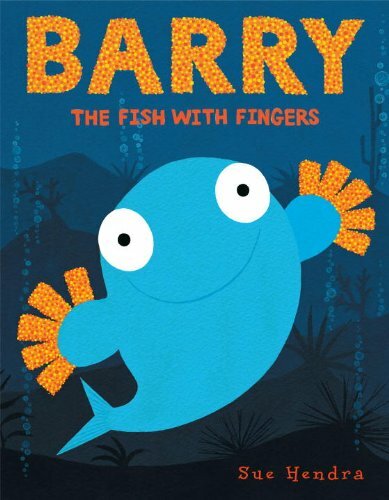 It's a boring life under the sea, until Barry the fish shows up with fingers stuck on his fins. He explains to all the other fish how many things he can do with these new fingers, and soon everyone wants them. The question of supply and demand is answered with a timely drop of a box that falls to the bottom of the ocean and allows all the fish to enjoy this new discovery. The box also reveals to the reader that the fish fingers are fish sticks - which is funny and clever, but at the same time a little disturbing. Which of course, is what makes the reveal funny and clever. I liked the book and the art, but the ending kept coming back to me. Should I explain to my four year old niece that the ending is funny because the fish are wearing fingers made of other fish - dead, cut-up fish made into sticks for kids' dinner? See when I write it out like that, it feels kind of wrong. But yet, I don't know that it's so wrong. At the very beginning of this book, we are introduced to the characters - a monkey, a mouse, and a jackass. That's the tip-off. 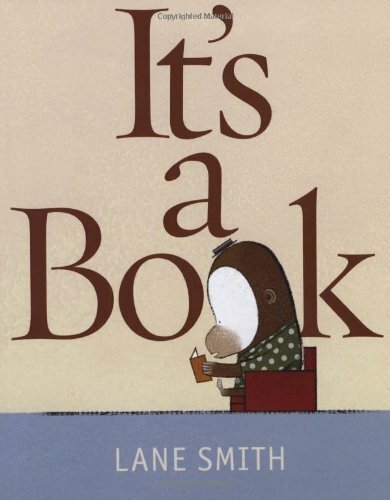 The rest of the slight story involves a lack of understanding of what a book is, does, and requires as the monkey keeps up the refrain that "It's a book." The book trailer that portrays this part of the story got a lot of rave reviews for the cleverness of the concept, especially in the irony of it being on a video or presented on a Kindle. The official press and media reviews of the book itself were very positive. But here's the thing, the books ends with the line "It's a book, jackass." Okay, I get the joke in that the donkey clearly is being a fool in not understanding what a book is and the monkey is clearly tired of explaining it and yes, we all know that jackass is both another word for a donkey and a expression for a dummy, so it's allowed to be in a picture book. Right? I don't know. I'm having a lot of trouble with this, and it's not just me. I did note that the Amazon reviews are very divided, with many parents uncomfortable with the ending. And I wonder if all the positive reviews are looking at this in that higher level of literature as Art as opposed to actually reading this book to a preschooler. Or a classroom of kids. Or having to explain it to a parent at the front desk of the library. THIRTY?! 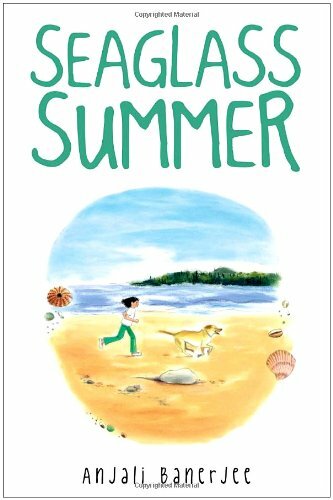 Well, if you add the Thirteen Summer Picture Books and Thirteen Summer Chapter Books to today's Four Special Summer Books, you do indeed get thirty books about summer from tot to tween. The four I am highlighting today have a little more weight to them than the chapter books I showcased last week. (Okay, with the exception of the deeper One Crazy Summer, but I couldn't resist that great title.) These certainly aren't the darker books of Young Adult, but each has it's own serious aspect. And they are also all spectacular books. When eleven year old Poppy skips a trip with her parents to India, she makes the decision with a goal to be a vet like her Uncle Sanjay. What she finds is that it working with animals can be difficult, gross, and heart-breaking. Over the summer Poppy also adjusts to the slow-pace island lifestyle, makes new friends, and learns more about herself. She even comes to handle the animals in emergencies and in passing. This book is a lovely read, but the sections on animals suffering or dying are emotionally intense - especially if you've been through it personally. The author handles the topic with grace, but be fairly warned. Felix knows baseball. As the son of a Cuban superstar, some might say that the eleven year old was born to it. Even if his mom won't talk about his father now. 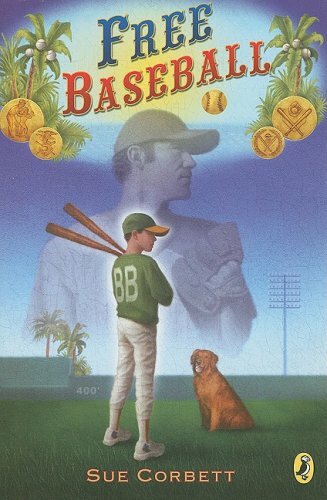 Mistaken for a batboy by a local Cuban team, Felix takes the opportunity to hang out with the ballplayers - and maybe find out something about his dad. Certainly a book that features the game well, but also the complexity of relationships and secrets. Gabriel King is afraid of everything - spiders, robbers, cows - but his biggest fear is moving up to the next grade, where he'll be in the same school as the bullies who pick on him. His best friend Frita decides to take the summer to liberate Gabriel from his fears one by one. She's rarely afraid, but one of her biggest fears is about to confront the pair head on. 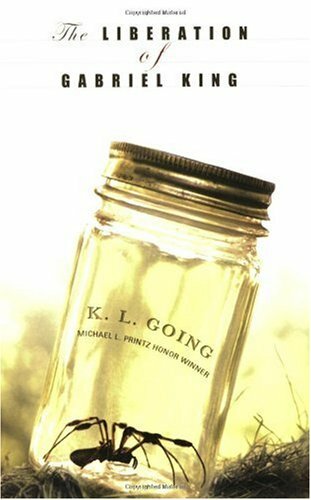 Set in the deep south in 1976, this book is a drama, comedy, and historical fiction. It tackles fear, hatred, racism, but ultimately is about courage. And friendship. Wonderful book. 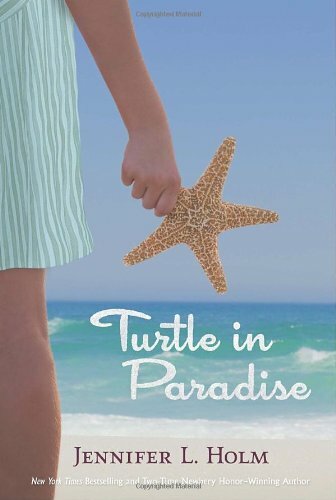 Turtle and her mom have always gotten through tough times together, but now that mom is employed as a live-in maid for a woman who doesn't like kids, Turtle is send to live with relatives in Key West. It's the middle of the depression, and many folks don't have much, but Turtle is still surprised by the poverty on this little stretch of land. Almost as surprised as she is by finding all of her long-lost relations. With the sea and the trees to provide, the families get by - even if shoes are a rarity - and there is even some fun to be had in seeking payment of sweets for babysitting. There are also literal treasures to be found, for those crazy, brave and bored enough to seek them. And along with her cousins, Turtle finds herself right in the middle of all of the adventures. Some frightening stuff in a hurricane, and Turtle's family situation give weight to the lighter side. Enjoyable read that exposes a lost place in time. Links to books in this post are affiliate links for the Amazon Associates program, for which the site MotherReader.com may receive a referral fee. 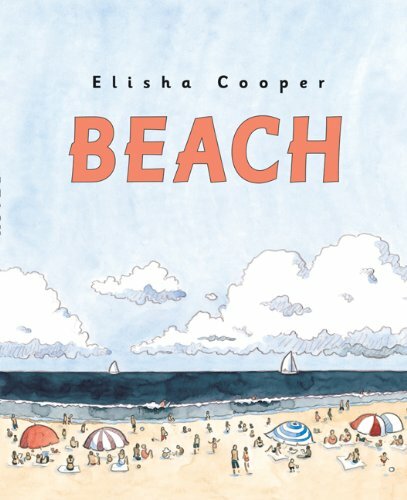 Last week I shared thirteen of my favorite Summer Picture Books. Now it's time to grow up a little with thirteen books for the elementary school crowd. This week I listed the books in roughly in order of the target age of the reader, starting with youngest to oldest. That said, many of the books would be great to read aloud to younger readers as I've made up this collection of mostly lighter summer books. A new addition to younger graphic novels is this series featuring a Lunch Lady with astonishing abilities to fight crime and serve tater tots. With the Breakfast Bunch kids, she tackles a new enemy at summer camp. Silly fun! The fabulous Babymouse graphic novel series brings us a trip to summer camp that can't help but go wrong. Oh, Babymouse, I love you so. (Also look for Babymouse: Beach Babe). Feeling bored in his small Southern town, Popeye befriends a newcomer named Elvis who finds adventure in everything. 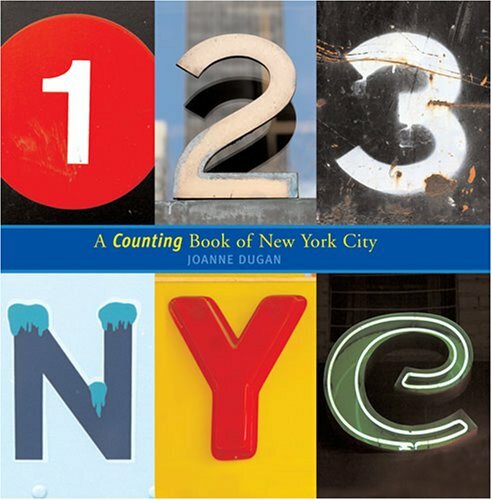 A great book for seeing the wonders in the everyday world. Summer reading doesn't work out well for the Time Warp Trio either as the boys put their booklist in "The Book" and end up caught in a world of good and bad characters from children's literature. Mayhem ensues. When Lowji arrives from India, he comes with wishes for new friends and pets. But summer vacation makes it hard find kids in his neighborhood, and his landlady is not fond of animals. No matter, as Lowji's positive attitude and clever solutions get him results in amusing ways. The little hamster with the big series of adventures gets to go to Camp Happy Hollow where he meets a wild mouse, visits the lake, and helps the kids adjust to the outdoor life and each other. There's always fun to be had with Humphrey. Jake returns to his home for a visit, but didn't expect his camp-free summer to be ruined by his Halmoni's plans and his little brother's annoyances. When his best friend Minn makes a visit, even that causes conflict. Can this summer be saved? When Evan finds out that his younger sister Jessie is going to skip a grade right into his class, he channels his anger into a challenge to who can make the most money with competing lemonade stands. An interesting and often amusing story of marketing strategies, sibling rivalry, and making lemonade. "Common magic" takes a four kids out of their boring summer doldrums when a magical wall transports them into different worlds of adventures, including a pirate ship and Camelot. Delightful story with a timeless tone. A lesson in business and the free-market economy is contained in this story of a boy who starts with a old riding law mower and ends up as a young tycoon. Funny and yet highly educational. After their father rents a guest house for a few weeks in the summer, four sisters explore the large estate grounds making friends and having adventures along the way. An old-fashioned story with a contemporary feel makes this a perfect summer story. Three sisters from Brooklyn spend a month with their mother in California. Sent out to stay out of mom's way, the girls spent this summer in 1968 among the Black Panthers learning about revolution, identity, and personal responsibility. A deeper book, for certain, but with its own lightness and humor. A day at the beach is captured beautifully in a series of seashore scenes from suntanning to swimming to shoveling sand. A beach-lovers delight. In one side of this story, the rain just won't stop, but turn the book over and it's the story of a blaring sun-baked town that needs the refreshing (turn it over) rain. Very clever. 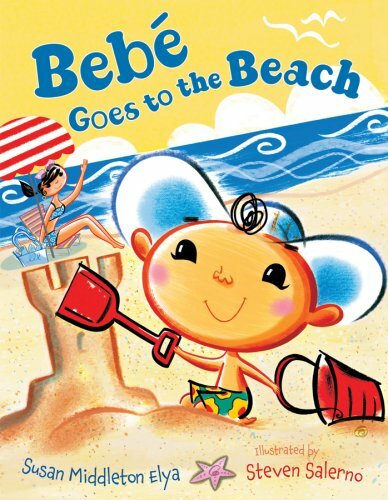 A sprinkle of Spanish words throughout the text sets apart this beach tale of one bebé who keeps his mama quite busy. Two boys spent the week at Grandpa's "camp," with different interpretations of the activities then the adults around them. Terrific fun. 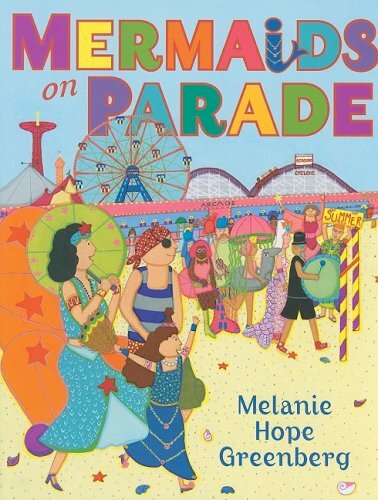 Everyone loves a parade - and mermaids for that matter - and this book celebrates both in its depiction of the annual Coney Island event. In the heat of the city, a girl waits for the rain to cool things off, and then celebrates by dancing outside with friends and family when it finally comes. Joyful and lovely. A slow summer day of barbecue and baseball turns into a slow summer night with friends and fireflies. What could be better? Regardless of the heat, a young boy won't swim in the pool, but finally gives in to find that he never wants to get out! A day on a farm in the summertime includes plenty of chores, but also time for fishing and stories for an African-American family. A young girl tries to keep cool in her city apartment, but is excited by the prospect of sleeping on the roof with her mom and aunt. Summer stables become poems as linoleum-block illustrations set the scenes. 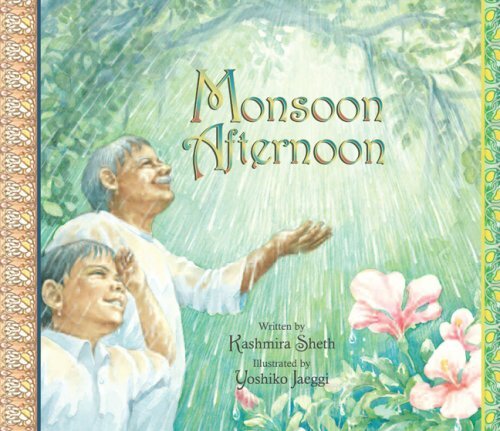 On a visit to India, a boy learns of the pleasures to be found in the summer monsoon season through the eyes of his beloved grandfather. 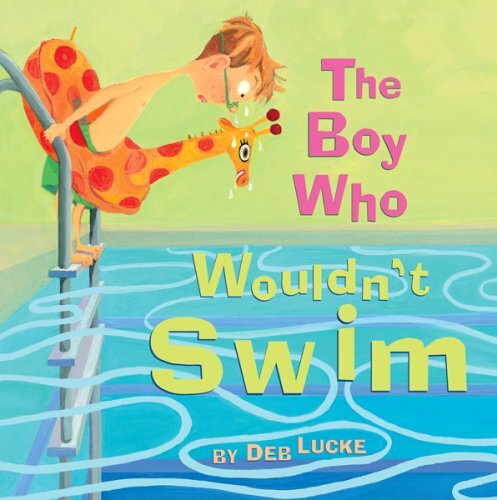 An imaginative boy spins a tale of Wild West adventures when asked about his summer vacation. How's yours going? 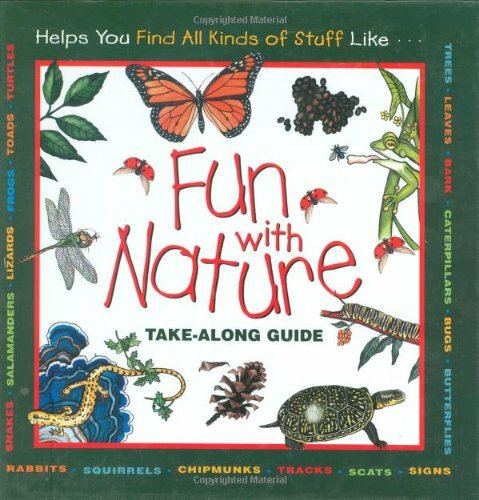 Next week I'll look at chapter books about summer - ones that can be read alone or to a child. Who knows, maybe we'll get into books for teens. In the meantime, if you have a favorite book about summer, share it in the comments. It's summer! This will be obvious to those of you who had normal school dismissals early in June, but for those of us who just finished the educational year, it does feel like a sudden release. And a welcome one. But even with an intense year behind her, my teen pondered, "What am I going to do all summer?" Her statement wasn't one of peevishness, but with something more like bewilderment at the unlimited choices of Free Time. It's an issue that parents can take with a bit of annoyance. After all, didn't we run out of our houses at the first opportunity not to return until dinner? Why are our kids so quick to cry boredom? Here's my theory. Today's kids and teens are impaired in making choices for what to do with their free time because they have so little practice doing so. My suburban kids have a pretty scheduled life with school, homework, and activities - plus family visits and friend outings. And I don't consider us particularly an overscheduled clan. But in the school year, they have so little free time that they never need move beyond movies, video games, and Internet. They don't really learn to make the choices that we had growing up - whose house to go to, what fields to explore, which direction to bike. So when facing an open period of choices, it can be somewhat daunting. Some parents approach this problem with more scheduling - camps, classes, swim team, trips to fill every day. I prefer a more moderate approach. A week or two of camp for each girl in their area of interest. Plenty of trips to the beach, which double as our family visits. But mostly I want to embrace the openness, the choices, the boredom - because that's where the magic happens. That said, there are steps that can take some of the overwhelming feel out of the freedom. I'm a big fan of public library summer reading programs because they give many kids the structure and goals they need, applied to something they love to do. Knowing that they have a form to fill with five, ten, fifteen books is sometimes just enough to get the kids to pick up a book, and a little prize doesn't hurt either. We're trying something new this summer too. We're each picking a selection of five to ten new-to-us books that we want to read over the summer. They'll be on a special shelf so that when we have reading time, none of us have to go to our comfort books out of laziness. Read something new this summer. 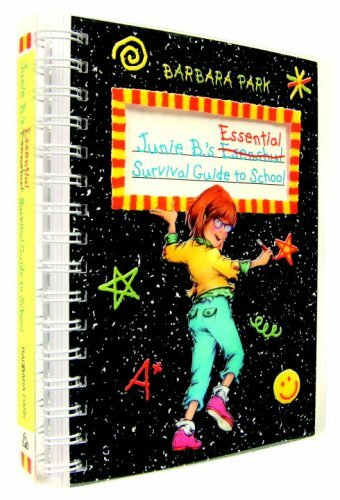 Terry covered this so well with her description of a summer writing journal that is FUN. We'll be doing this in our home. I'll add that my teen mentioned that she wanted to write a book over the break, and then she asked me if I hadn't been writing a book myself. I admitted that I had put it on hold when things had gotten stressful over the spring. "Well, then we can write our books together this summer!" she stated. Gulp. Busted. So I guess I'll be working on my novel over the summer, but you don't have to be as ambitious. Try poetry, short stories, memories, songs, thoughts. Look through the old writing prompts at Reading Rockets or search for more online. Make time to write this summer. Much of what I write, I do so in my head lazing back on the couch, waiting for tween's dance class to end, driving back from some event. In these quieter moments, the ideas flow for me. When was the last time you daydreamed? Let yourself and your kids get bored. Lay in the hammock, nap on the sofa, float in the pool, sit under a tree and see where your mind takes you. Maybe you'll become inspired to make a painting of the shades of green you notice looking up into the leaves. Maybe your child will decide to create a fairy house beside the tree trunk. Let rest be part of your summer and enjoy the results.